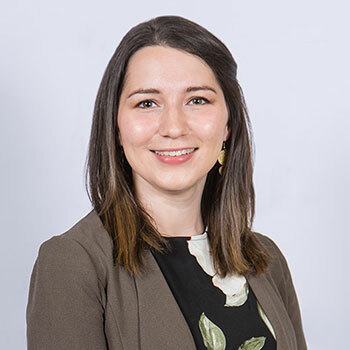 Doctoral candidate Courtney Arseneau came to Wilfrid Laurier University as a master’s student in developmental psychology to follow an “internal spark” lit by the opportunity to research in a field she was so passionate about at a community-driven university. She will soon graduate from her doctoral program having ignited the minds of the students she’s taught and mentored along the way. To label Arseneau as simply a Laurier student would be misleading. Since beginning her master degree at the Waterloo campus in 2011, Arseneau has held positions as an undergraduate course instructor, research supervisor and teaching assistant. For the first-ever Laurier Student Teaching Award of Excellence recipient in the doctoral category, the expectation to contribute to the campus and community comes from within. Her research focuses on promoting the implementation of the United Nations Declaration on the Rights of Indigenous Peoples, and examining how Indigenous communities are engaged in consultation and consent-seeking processes in proposed development. In addition to the teaching, research and supervision during her time as a graduate student, Arseneau co-developed a community psychology course through Laurier’s Department of Psychology. Arseneau’s contributions to the online offering included developing student learning outcomes, creating course content and building assessment activities. Even while working within a structured approach to course design along with instructional designers from Teaching and Learning, Arseneau still feels there is always room for personalization. “By integrating little bits about who you are as an instructor in the design process, you acknowledge that your approach to teaching is a key part a student’s experience in the course,” says Arseneau. Weaving a professional passion for social responsibility with personalizing the student experience may sound challenging, but Arseneau has turned it into an opportunity to build meaningful communities within the classroom. Being open, available and responsive to student needs is part of Arseneau’s process of building mutual trust among all participants in the classroom. As an instructor, Arseneau creates space for students to learn from each other through team-based activities, informal discussions and structured assignments. “Trust and support can be built between an instructor and their students, but also among students,” says Arseneau. Arseneau believes that a sense of pride and investment in learning is fostered when students are given opportunities to engage with a diversity of perspectives. This engagement leads to personal ownership of ideas in the course content, creating connections that allow students to relate to the material at a deeper level. For the cumulative project in one of her fourth-year seminar courses, Arseneau asked students to demonstrate their knowledge of the lifecycle of civic engagement by creating a research proposal, leading an informational presentation, and facilitating a question session related to a topic or issue that was personally relevant. “Providing flexibility allows students to better see how what they are learning can relate to their lives outside the classroom, whether it’s a connection to their personal goals, career goals or their future in higher education,” says Arseneau. Outside the classroom, Arseneau supervised undergraduate student groups in a student-community research partnership project with Laurier’s Centre for Community Research, Learning and Action and the Laurier Students’ Public Interest Research Group. When students approached Arseneau wanting to learn more about community-engaged work, she took on a project manager role, overseeing the student group as they studied holistic supports for adults living with developmental disabilities. The undergraduate group has since presented their findings at a conference focused on health and wellbeing and have created lasting relationships with their non-profit partner. By pursuing activities with a focus on social responsibility, Arseneau reinforces for her students the importance of aligning personal principles with professional aspirations. “I want to inspire them to find the spark that drives them in their lives,” says Arseneau.